Yes, go get some Epsom!!! Amazing stuff!!! I use Dr.Teals lavender. Best stuff ever! I think that is what I have! Or maybe it is the eucalyptus….? Either way I see a bath in my future tonight!! Eucalyptus would be awesome too!! I hope you get some relief soon! Thanks love!!!! Xoxo I’m getting sooooo excited!!! I am definitely relieved the name situation is settled! Holy moly, what a stressful situation!!! I’m sure! 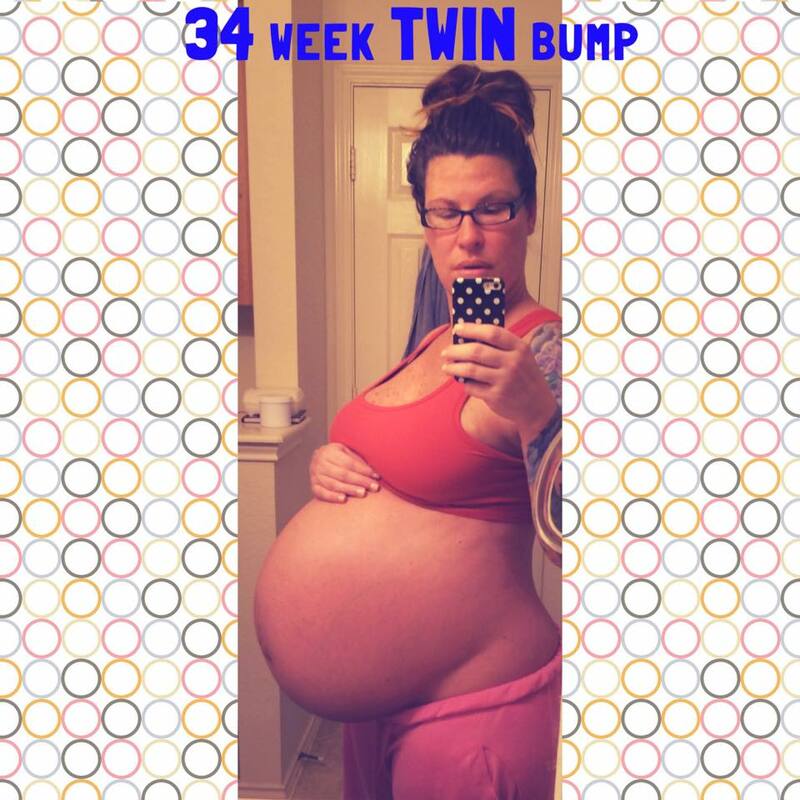 I know how I was as I got closer to my due date. It’s hard not to be excited! Yeah I saw the string of fb comments about the name. I’m sure that was frustrating to deal with! I’m just glad you both decided to go with what you like. Family names are nice if they work out and you’re both in agreement. Mackenzie’s middle name is Ruth which is my grandma’s middle name. My grandma had 3 boys but always wanted a daughter. People always told me as the first granddaughter I was the daughter she never had especially since she practically raised me. A woman like that deserves to have her name carried on in some way and my husband never opposed it, luckily! It was beyond frustrating!! If it works, that’s great but in our case it just wasn’t working. Thank God we finally came to an agreement! Hang in there momma! Last stretch is hard! Almost there!!!! It is soooo hard!!! Feels like time has stopped!!! LOL. Yep. Pretty much! I was the same. How are you doing?! Babies are still nice and snug?? Well I keep contracting, no change to cervix though. DR is going to go ahead and deliver me a week early, so Tuesday it is, 5 days to go!! !